Remember our last visit? Flax was there, as was sesame, one of my favorite seeds. I prefer beige over black, even though they're less chic. The semolina formula of yore produced a creamy scented dough and a bread with a fine-textured crumb. It was beautiful, really, the little gas chambers more slanted than round, and all in perfect queue. Durum wheat is a high protein wheat, which is what we want when making bread. 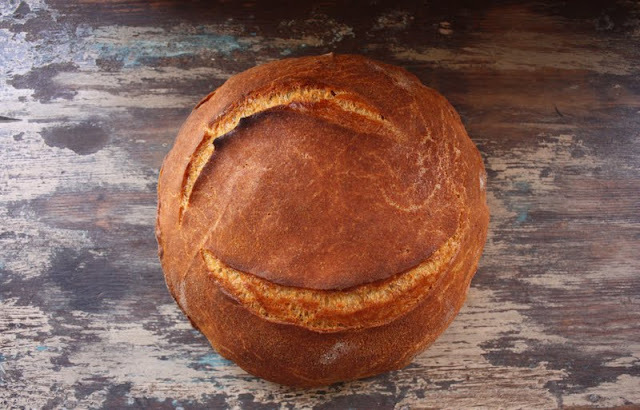 It is the high protein that allows for the durability of our dough and the fabulous ability for the gluten structure to stretch during fermentation and proofing, thus giving us such lofty breads. But there is a caveat with durum. Its protein is quite fragile compared to that of spring and winter wheat, and when overmixed, it can break down. This was not an issue when I made my last loaves because I make all of my bread by hand, so it's possible that the seeds could have contributed to the more dense crumb. 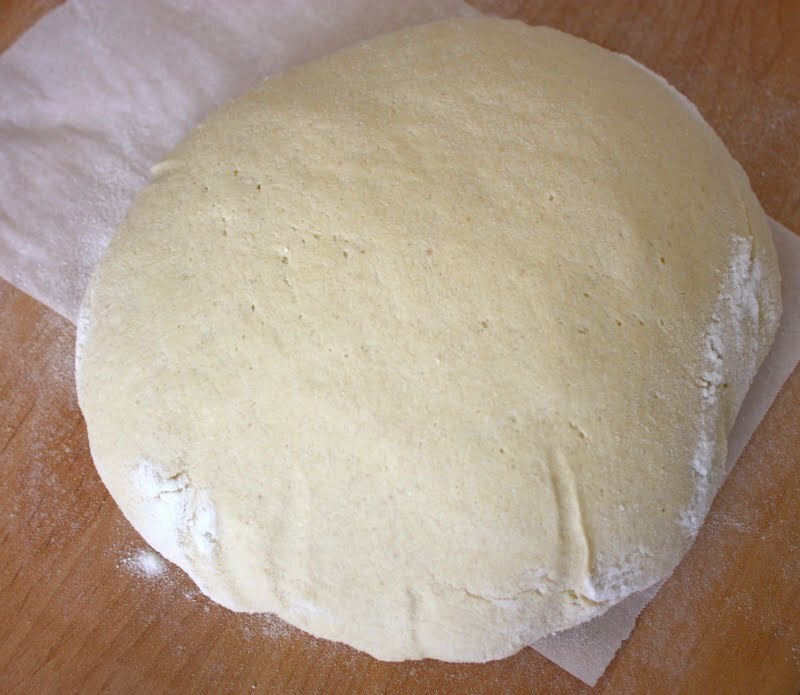 When durum is milled into flour then bolted (sifted), the large remaining particles are semolina. So semolina is actually a byproduct of flour milling. Generally used for making pasta, porridge and puddings, semolina is sandy in texture. 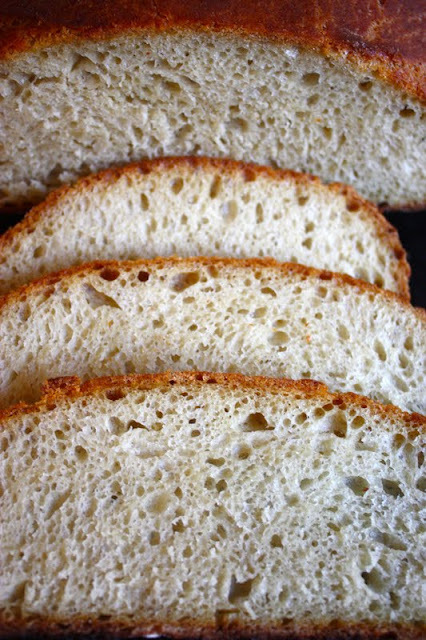 When employed for bread making, the rough surface of the grains can puncture the developing gluten network and compromise an open crumb. 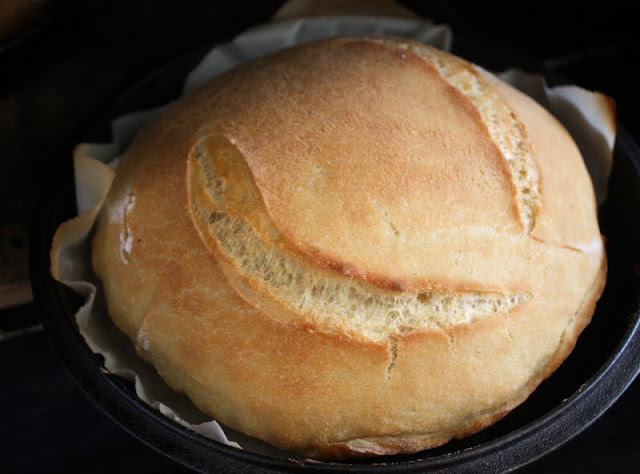 The inferior protein quality, along with the rough grains, can also make for inferior oven spring, which I did not experience with my last loaves. In fact, they came out very well domed. This must be due to the fact that I did not use a machine to knead my dough, thus limiting the risk of overworking the dough and breaking down the protein, or giving the rough grains too much opportunity to deteriorate gluten structure. 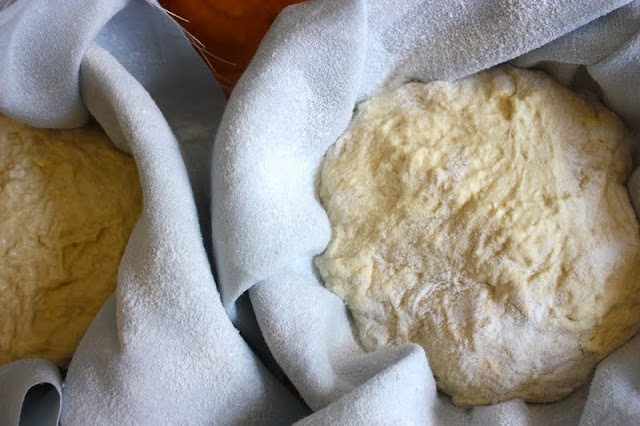 As you can imagine, it is advised not to use a mixer when working with semolina in your artisan bread production. Many bakers looking for a durum-based bread will use durum flour. 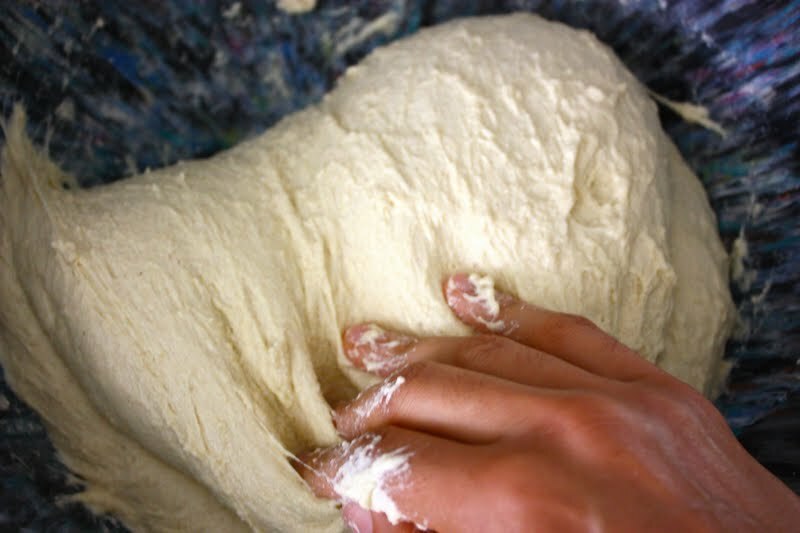 Durum flour, because it is finely milled, does not pose a threat of puncturing the developing gluten strands when mixed. The lesson: When working with semolina, with the lower quality protein, despite its high percentage of it, in conjunction with the sharp grains, try not to overwork the dough, and make sure you use a good quality bread flour along with the semolina because the higher quality protein will help increase the durability of the gluten network and allow for better oven spring. I used King Arthur bread flour. 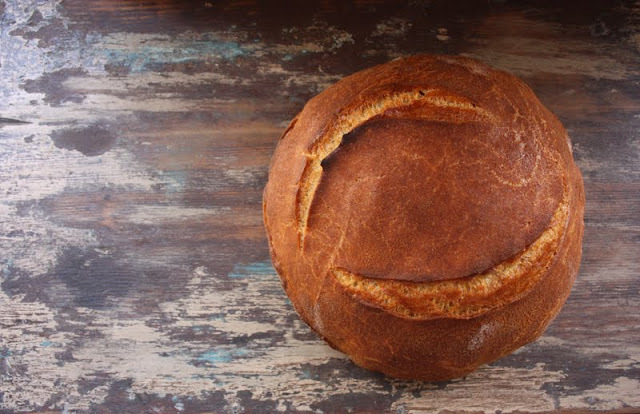 As well, if you are planning to add dried fruit or seeds to the bread, you may consider soaking them since they will absorb some of the moisture in the dough and further tighten the crumb. Today when working with these loaves, I decided to omit the addition of seeds or nuts so that the results of my experiment would be unobstructed, though I actually invite a tighter crumb. 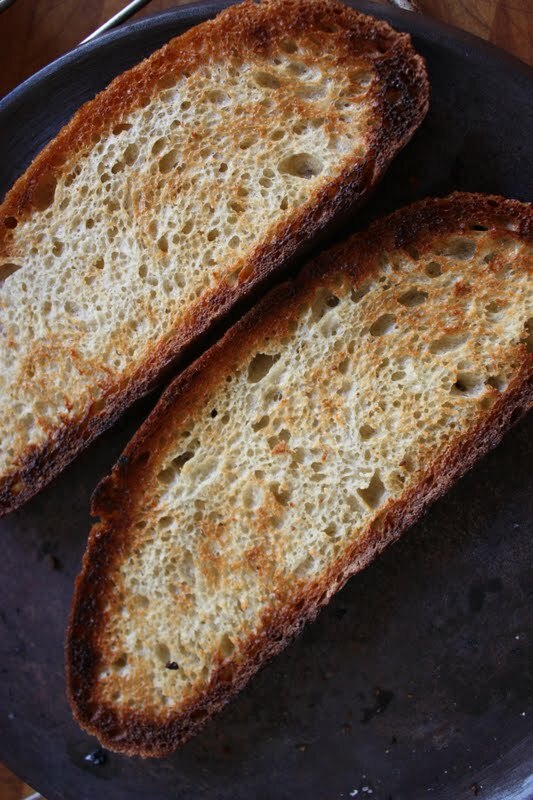 I know that the large irregular holes in artisan breads are all the rage, but I love to eat toast with olive oil and honey, and that does not really work with sourdoughs whose holes are as big as quarters. 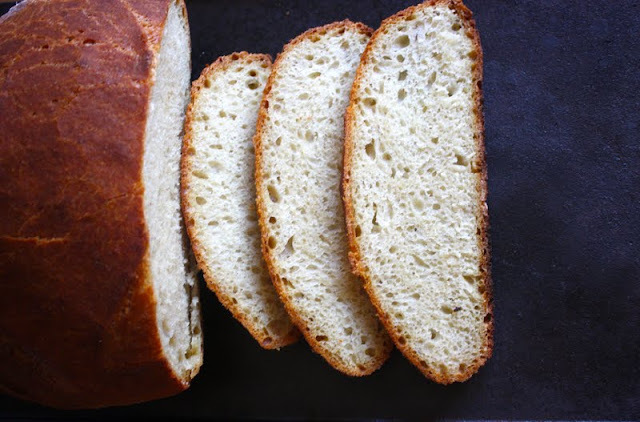 As far as I'm concerned, if semolina will give me a bread with a lovely texture and a tighter crumb, I am happy to add this to my repertoire of regulars. So, given the research and our plain semolina test loaves as proof, it seems that seeds or not, you are never going to achieve an open crumb when working with this grain in view of its roguish nature. 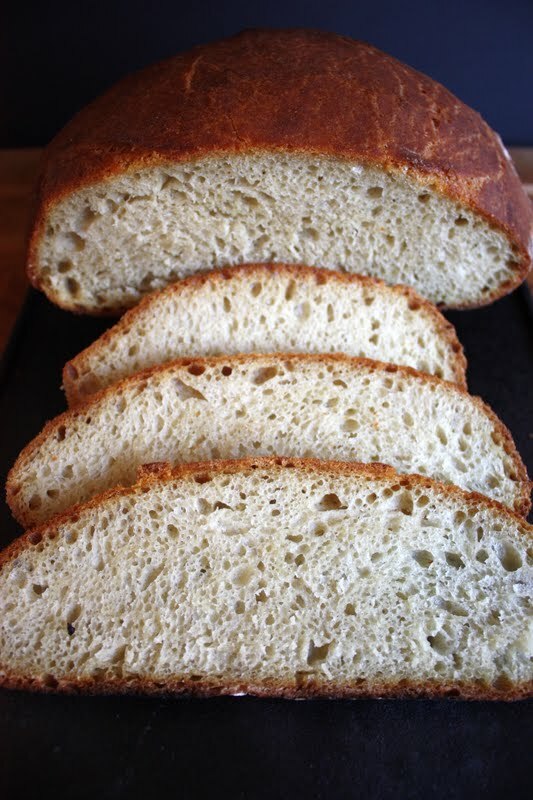 It might work if one were inclined to used less semolina and more bread flour in the formula. 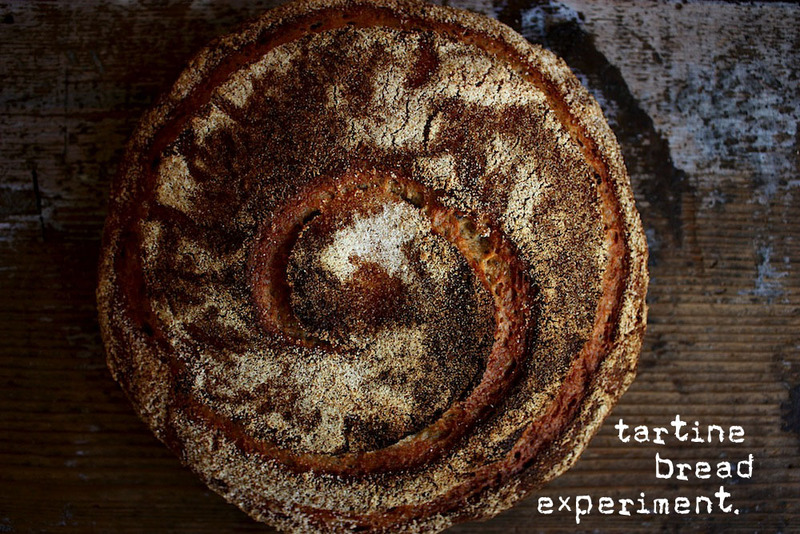 But given that Tartine's loaves require 700 grams of semolina, try as you might, it is just not going to turn out that way. And I'm not unhappy about it in the least! The night before, mixed 1 TB starter with 100g h2o and 50g each AP and whole wheat flour. Left it to ferment overnight. Dissolved 200g of levain in 700g water. Mixed in 700g semolina and 300g bread flour. Autolysed 40 min. Added the salt and olive oil. Mix in well. Did 4 series of turns at 30, 60, 90, 120 minutes, and fermented for another hour at room temp. Total time: 3 hours, plus the autolyse. 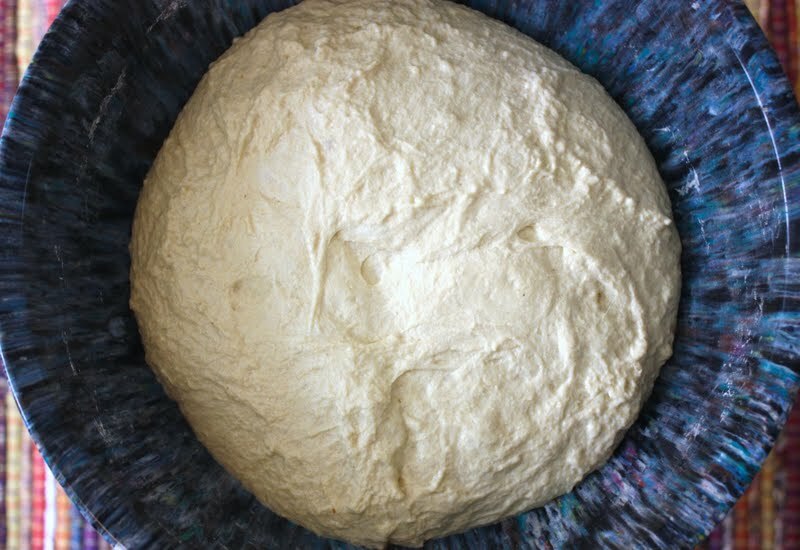 Gave the dough another series of turns with a light hand, then popped in the fridge for 1 hour 20 minutes to finish fermenting. Total fermentation time: 4 hours 20 minutes, plus 40 minute autolyse. Poured the dough onto a olive oiled work surface. Divided in half and shaped into two rounds. Shaped the dough into tight boules, then popped them into linen-lined bowls that were dusted first with rice flour. Proofed in fridge for 1 hour 30 minutes, then at room temp for 1 hour, then back in the fridge for the final 30 minutes. Total proof time: 3 hours. Preheated oven with stone and two combo cookers at 550 degrees. Inverted the loaves onto a peel lined with parchment. Slashed, and slid them into the combo cookers. Turned the oven down to 450 degrees and baked with the lids on for 30 minutes. Removed the lids and baked for another 25, until the internal temp was 210 degrees. 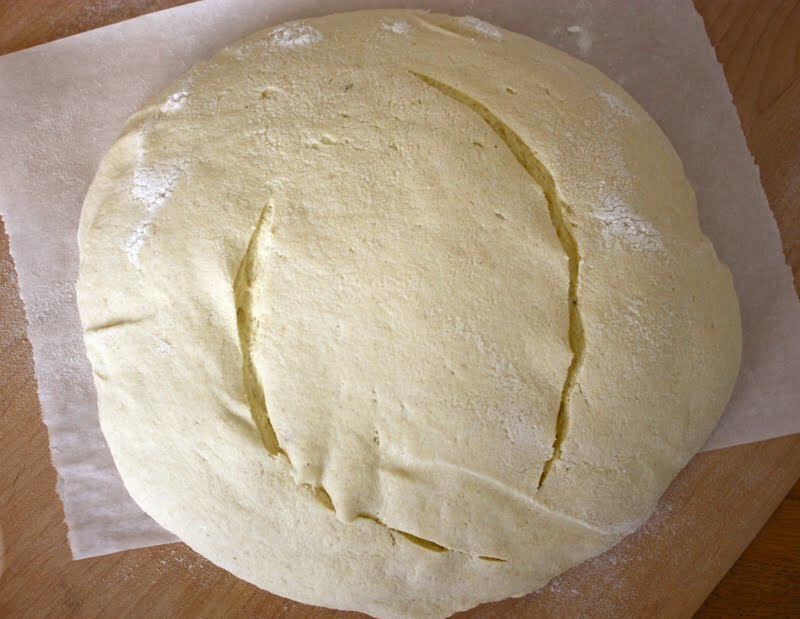 Crust: Super shattery. Crumb: Nice and soft, well-hydrated. Great texture. Flavor: Soooo Good! Overall difficulty when handling the dough: Medium difficulty. It was fairly hydrated and as a bit of a challenge shaping them into boules, then again once they were inverted onto the peel. 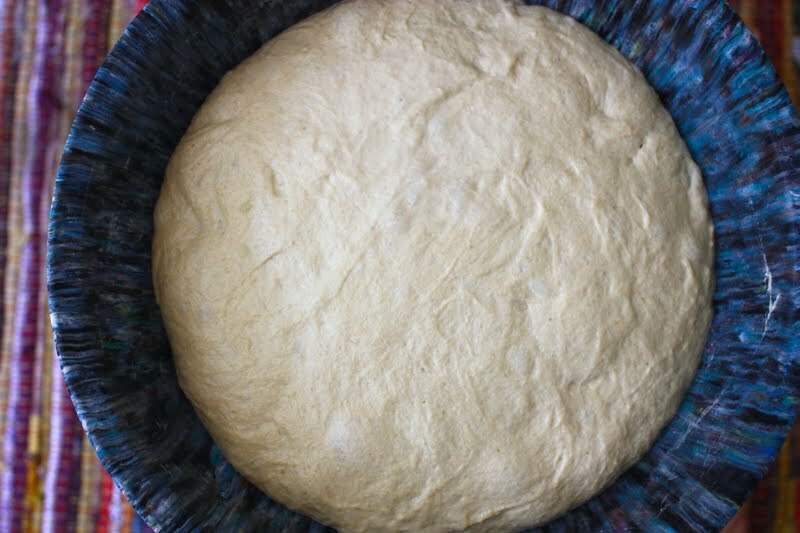 The dough spread pretty quickly. Fermentation and proofing notes: I toggled between fridge and room temp fermentation because its been warm here lately. I think the technique of proofing in the fridge really helps to develop the flavor of the bread and control it. 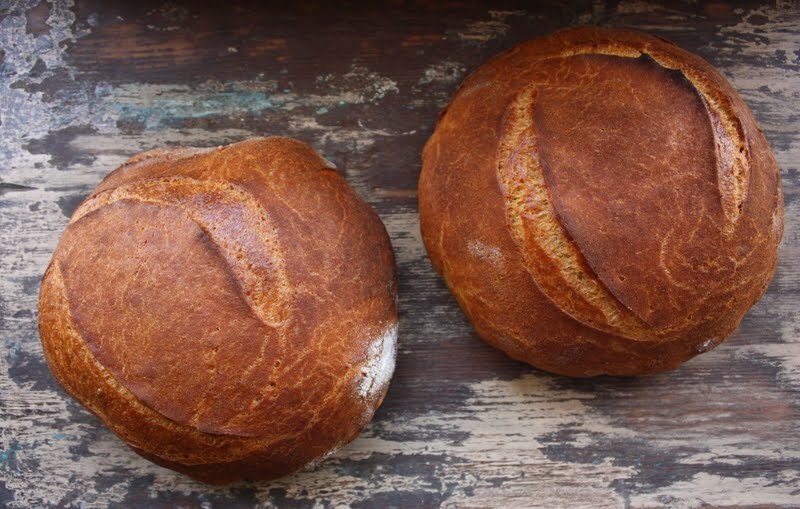 Notes: I made two boules a couple of days ago, as an experiment, and didn't refrigerate at all. It was really hot here and I wanted to see what would happen. 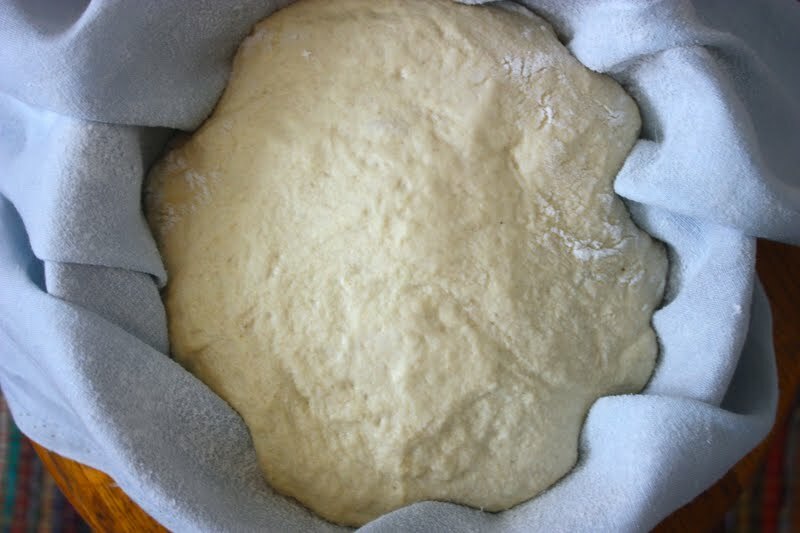 The dough overfermented and overproofed, and very quickly. The loaves were no good, and I didn't even have to back them to know that they wouldn't be. Since I am still learning about how temperature, water, etc. 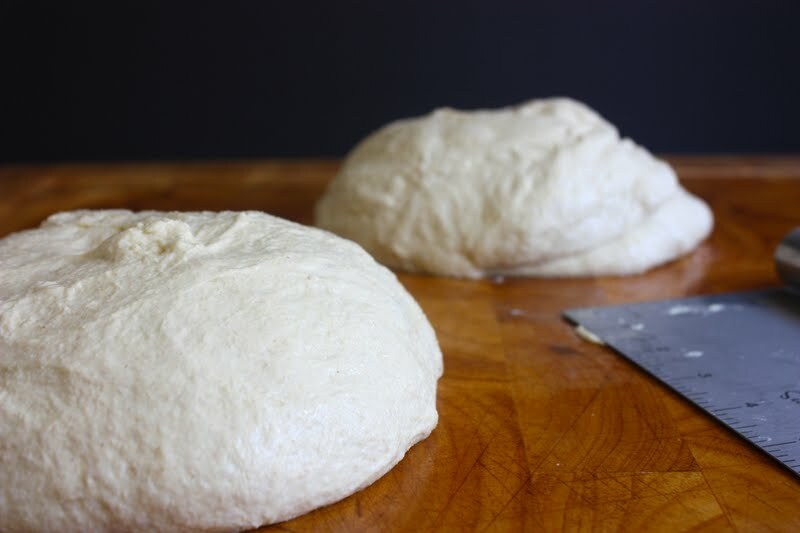 affects my loaves, it was a great experiment to just let them ferment without interjection, just to see how much latitude I have with my bread, and how weather affects the dough. 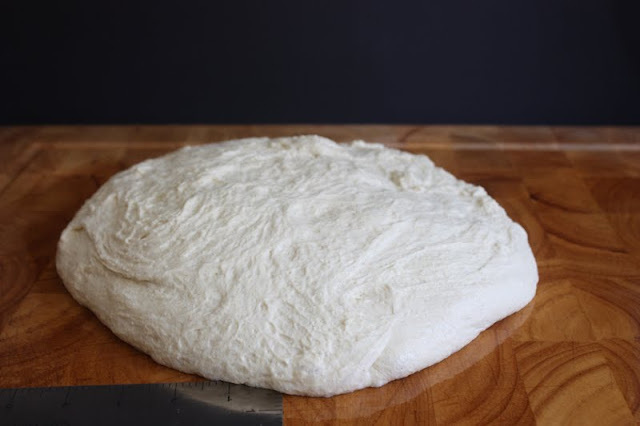 This post was sent off to Wild Yeast Blog's Yeast Spotting. Thanks for this. Semolina has mystified me. Now it makes sense! Lovely pictures too! I wouldn't mind, either! It looks gorgeous! 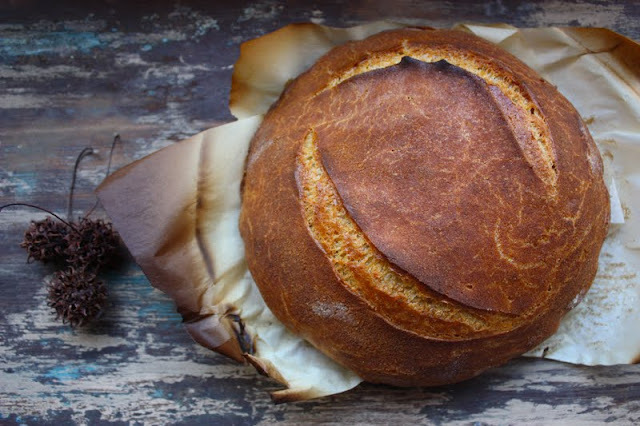 The bread looks absolutely gorgeous, crusty and chewy centers. 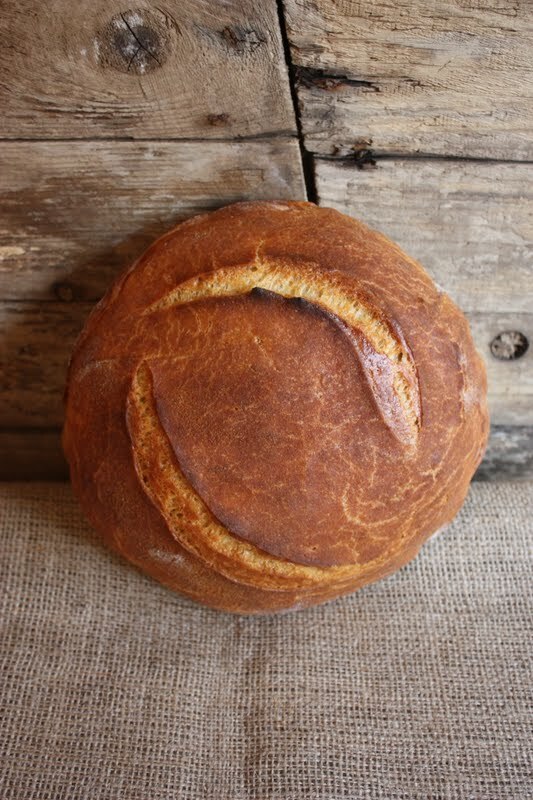 Sourdough is so on my list to-do! "I made two boules a couple of days ago, as an experiment, and didn't refrigerate at all. It was really hot here and I wanted to see what would happen. The dough overfermented and overproofed, and very quickly. The loaves were no good, and I didn't even have to back them to know that they wouldn't be. Since I am still learning about how temperature, water, etc. affects my loaves, it was a great experiment to just let them ferment without interjection, just to see how much latitude I have with my bread, and how weather affects the dough." I'm just so curious about what you observed here and how you knew that the dough was both overfermented and overproofed and just plain "no good"? It has been a hot summer in New Mexico and I've been fermenting for 3 hours and proofing in the refrigerator for 9 hours. But this is my baseline. Wondering if I too am overdoing things!